Finally a survey company just for us moms! Click below and starting earning that Fun Money! 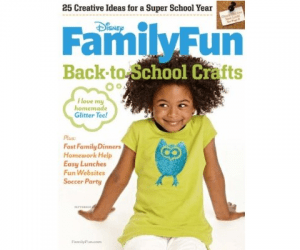 Best Deal Magazines Deal of the Day magazine is Family Fun Magazine. If you use coupon code PXSS822 the price will be only $3.73! A great deal!!! Best Deal Magazines Deal of the Day for the next few days caught my eye and thought you might like them too. 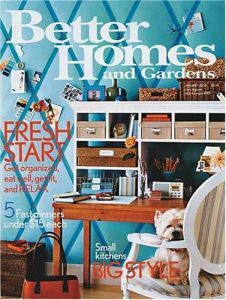 Wednesday's deal is Better Homes & Gardens at $5.99 for one year. Thursday's deal is Redbook at $6.99 for one year. To make all these magazines an even better deal, use code PXCJ530 to get an additional 15% off! If you can't get them free, this is the next best thing. 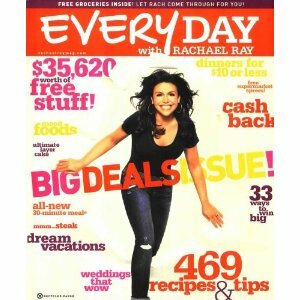 Best Deal Magazines Deal of the Day today is Everyday with Rachael Ray. Use the code: PXCJ59 at checkout and pay only $3.65 a year! Best Deal Magazines Deal of the Day is Elle magazine. A one year subscription is only $4.29. Use code RENEW16 to get it for $3.60 a year. Garden & Design and more.. These would make great last minute Mother's Day presents too! I thought this would be a great gift for Mother's Day. Amazon is offering 2 years of Working Mother (2-year) for only $9.97. 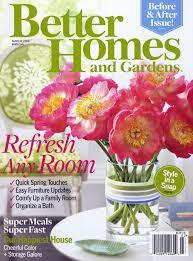 Better Homes & Gardens is my favorite magazine! I was just able to get a free subscription for completing a survey so I did not need to try this code. But if some would like to and leave a comment if it works, that would be great! Tanga has a great deal on Better Homes & Gardens. Get a 1 Year Subscription for just $2.99, when you use promo code HOMES at checkout. Don't forget about the great deals Amazon has right now on magazines as well! So, did the title make you think you could hire a handyman for $4.29? :) Well, how about getting the man in your life a subscription to Family Handyman as a hint :) Actually this magazine is just as great for us Moms. We do it all anyway, and they have lots of great ideas and suggestions. This price is only good for Monday. Amazon is offering Ladies Home Journal (1-year auto-renewal) for only $5. I love this magazine! It is time for me to rave (once again) about All You Magazine. I just received my April issue and there are $81.55 worth of coupons inside! I cannot wait for the magazine to come each month, not only for the great coupons but for all the money saving tips! Today only, you can purchase Family Circle magazine for only $4.29 for a one year subscription! Here are other great magazine deals this week. Family Fun is on sale all week! Amazon has Entertainment Weekly (1-year auto-renewal) for only $10. This is a great price. I have never seen it any lower, especially for 1 year! Enjoy! Right now Target is selling Rimmel Mascara for just $2.24. If you use the $3.00/1 coupon in the March All You Magazine it is FREE + Overage. I have mentioned All You Magazine before. It is a great magazine to get because it pays for itself and more with all the great coupons in it. Now they are making it even easier on their readers. On the Table of Contents page they list all the coupons in the magazine and what page they can be found on. What could be easier. It is that time of month to update you on the great coupons in All You Magazine. It took me many months to finally break down and get a subscription. I wanted to make money, not spend it. But, I have enjoyed all the articles and love all the coupons. I finally got myself a subscription! I had been hearing from others what a great magazine this was. Just stock full of coupons. I got my first issue in February and boy was it true. Not only that, but one article inspired me to submit an article idea to WiseBread.com. They liked the idea and posted it last week, HERE. All You Magazine is only $15.00 a year. The coupons you receive, make up for that very quickly. Here is a list of the coupons you can expect for March in All You magazine. Best Deal Magazines Deal of the Day has The Sporting News on sale today only for $4.29 for a one year subscription. Use code pxss124 and receive an additional 15% off! If The Sporting News is not what you are looking for, they have over 250 magazines under $10 and the 15% off code is good on all of them. Today through Monday, they are offering 18% off their already low prices if you use code TICKET18. For instance, Elle is only $5.95 with the 18% off it is only $4.88 for an entire year. Great prices! Right Now Best Deal is offering an extra 17% off any magazine subscription if you use code SECRETSALE17. This code is good until midnight on January 10th. The magazine of the day today is Woman's Day which is only $4.29! I used to get this magazine when my kids were younger and I got so much out of it. Today using code FAMFUN25 it will only be $3.52 for a year, but tomorrow (12/31/09) using the same code it will be only $3 for an entire year. This is a great gift for parents as well! Click below to check them all out! Reminder - Tomorrow is the last day to get O Magazine for only $5!! I have never seen this magazine this cheap. You read correctly $5 for a 1 year subscription from Amazon. This is good through Sat. December 19th. Today Harpers Bazaar is on sale for $4.39 for a one year subscription. Also this week only Shape Magazine is on sale for $3.75 for 1 year using code SHAPE20 Click below to access the great deals! This is a great price for this magazine. It would be the perfect Christmas present. Use code ESPN to get this great price through December 13th. Click Below to access. Yet another great magazine offer! You could get subscriptions for everyone on your Christmas list and save a whole lot of money. Don't forget that Ladies Home Journal is on sale for $6.79 a year through December 6th!